*NOTE: This culinary experiment was the very last I did before moving from my old house and was written before my recent post featuring Dried Shrimp Paste (Belacan/Terasi). If you have none, it can be substituted with Lee Kum Kee Shrimp Sauce, or even the juice from Korean Salted Shrimp. 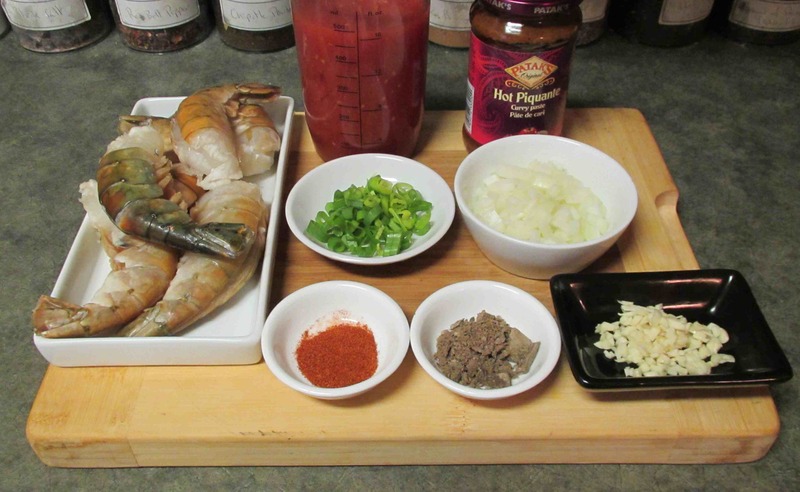 If none of these are available you can omit this part of the recipe, but the sharply pungent fermented shrimp flavor of any of these products adds a great depth to this dish. First, heat a little oil in a sauté pan over medium heat and add the minced garlic. When the garlic is just getting soft, add the prawns and sauté just until the shells turn pink and then remove them from the heat. 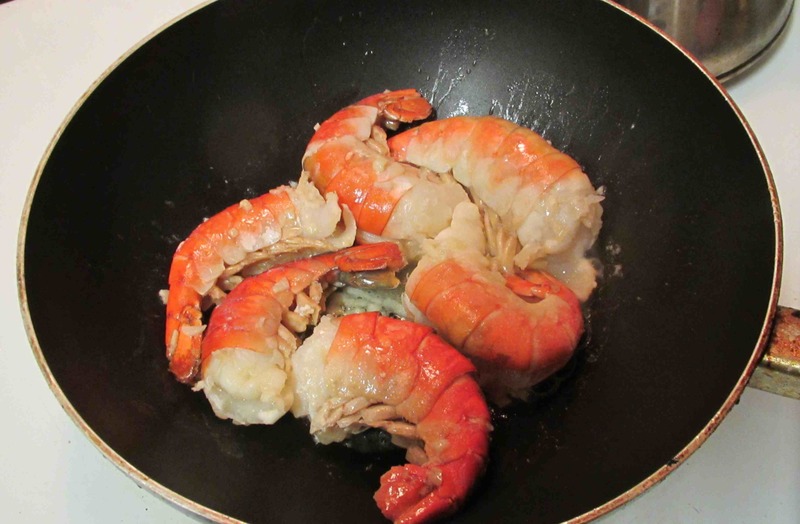 When the shrimp are cool enough, take them out of the pan, remove the shells and set the shrimp aside for now. You can use shelled shrimp if you like but the shells will add extra flavor to the shrimp meat and the cooking oil. 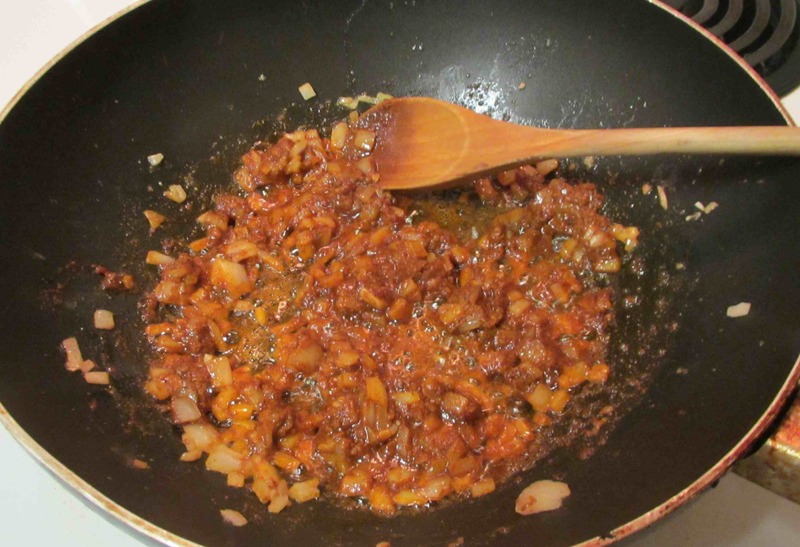 Return the pan with the oil and garlic to the heat and then sauté the onion until it is soft. Add the Curry paste and the ground chili and stir until they release their aroma. Next, crush the Belecan and add it to the pan. Many recipes call for you to toast the Belecan in a piece of foil over an open flame to release the full flavor but you can omit that step for this experiment. Now, add the tomatoes and turn down the heat. 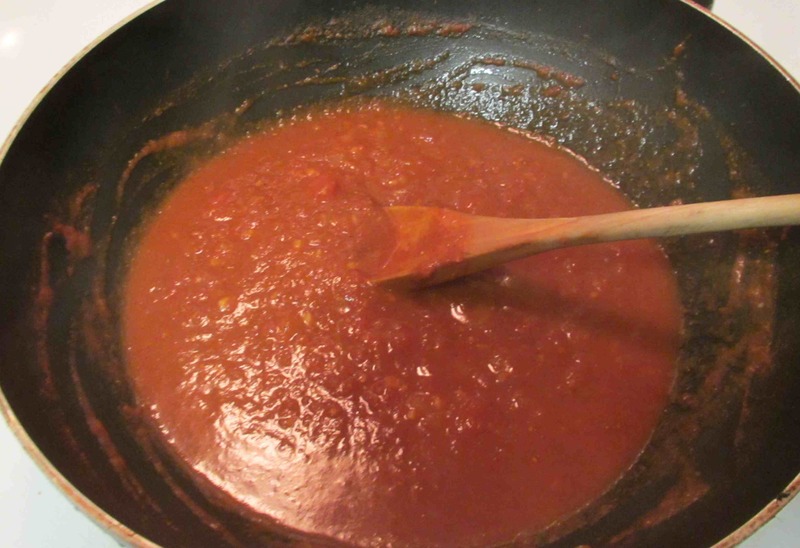 Allow everything to simmer for about twenty or thirty minutes, stirring from time to time, until the sauce reduces a little and the flavors have blended nicely. 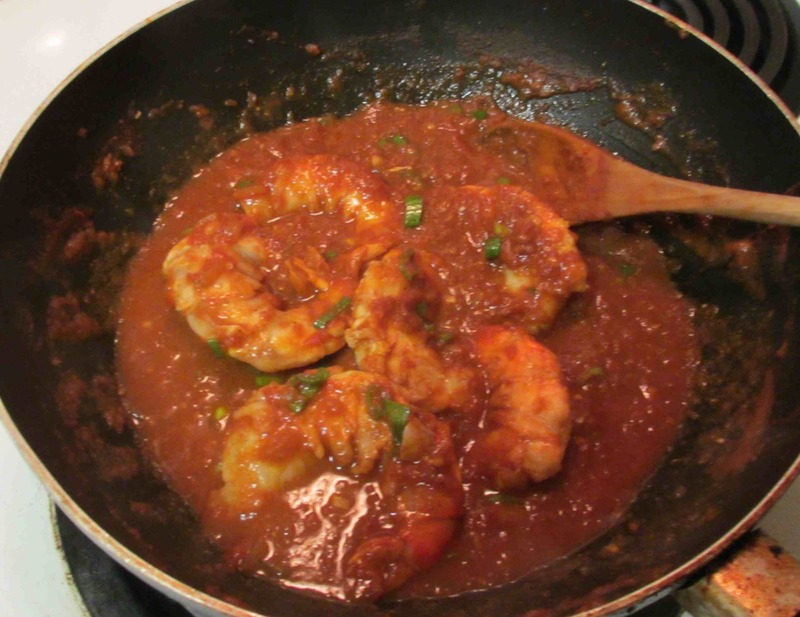 When the sauce is ready, turn up the heat to medium once again and add the Prawns. Cook until they are cooked through and everything is nice and hot, then stir in the scallion. You can serve at this point, but the dish will be much better if you allow it to cool completely and then re-heat it just before you are ready to eat. This also has the added benefit of allowing you to do most of the preparation in advance and will make things a lot easier for you if you are serving it along with several other dishes. 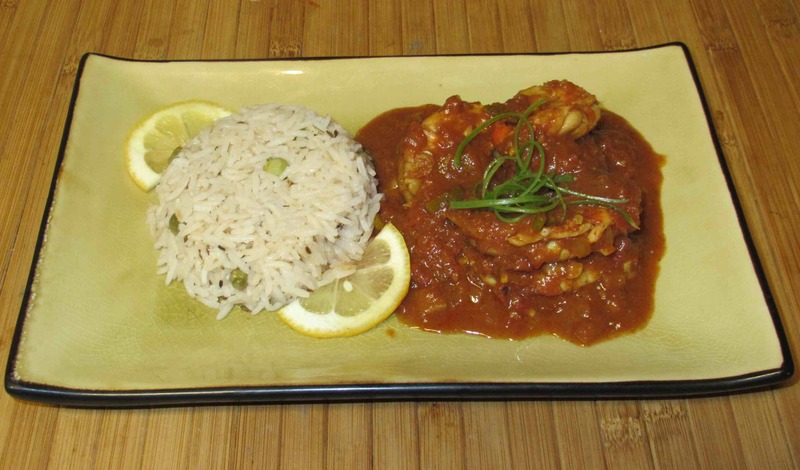 The size of those gorgeous prawns tempt me to this recipe! 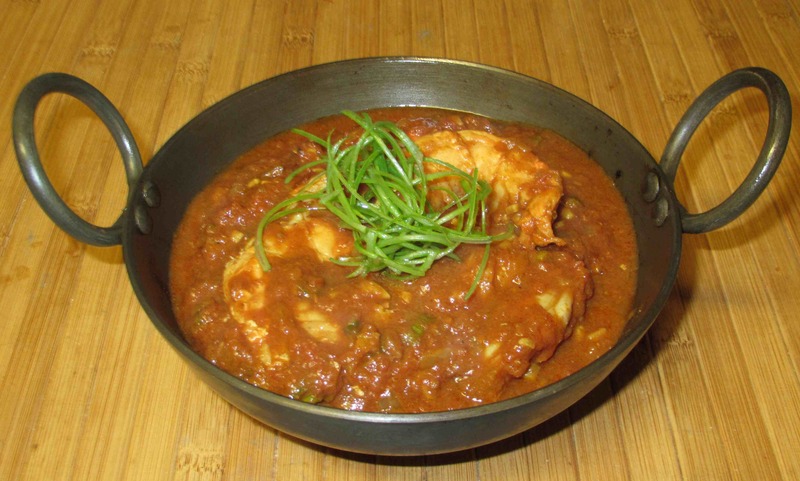 I love curry, and you’ve really distinguished yourself as quite the curry expert, I think! 🙂 Yum! Some of the best curries I’ve had were in London as well. This looks like a very nice recipe. 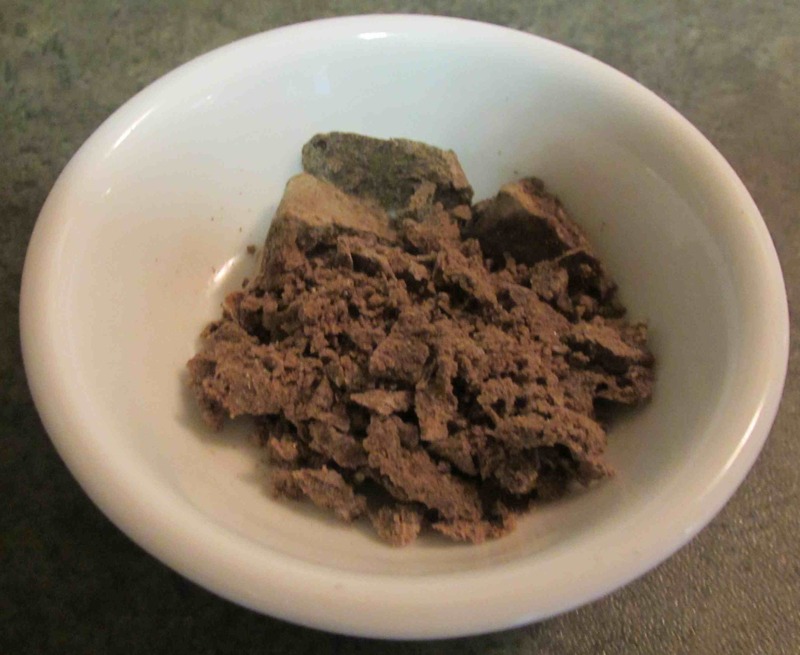 I’m sure I can find belacan somewhere, but is it something that you can use in a lot of recipes?